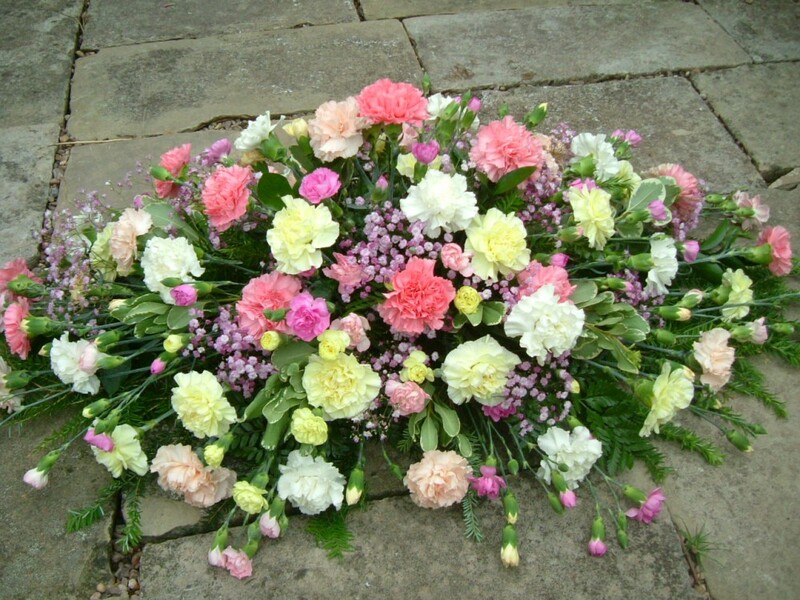 A mixed coffin spray of bloom and spray carnation. Available in mixed or all one colour. Specify when ordering which colour you would like.